The power to think, implying problems solving for self, for community, and for society. In one sense it could be said that RFTC has no history, since it just opened in February, 2014. But it would be more accurate to say that its history traces to the arrival of Friends missionaries in Burundi eighty years ago, where their work included the establishment of many primary and secondary schools, along with the planting of many churches. During the troubled years in the 1960s and 1970s, most Protestant missionaries were not allowed to continue their work in Burundi. Some of those missionaries answered God’s call to come to Rwanda to carry on the establishment of churches and schools. In 2012 Rwandan Friends celebrated 25 years of history as a recognized church in Rwanda. During that time Friends established a number of primary and secondary schools. The training of leaders in the Friends Church in Rwanda was done informally at first, under the direction of missionaries and pastors. Then Rwanda Friends joined with Friends in Burundi and Congo to establish the Great Lakes School of Theology (GLST) in Bujumbura, Burundi in 1998 and a number of leaders in the Rwanda Friends Church studied there. After the closing of GLST in 2003, leadership training in Rwanda took the form of Regional Bible Schools, with periods of study and other periods of practical experience over a two year span of time. RFTC as it exists today is the result of Friends leaders in Rwanda feeling called to establish a more advanced and comprehensive course of study than was possible in the Regional Bible Schools. The vision of RFTC is to prepare and equip Christ-like leaders who are active in holistic ministry. To transform students for character development and for service through academic and professional programs in the aim of glorifying God and serving humanity. This results in the training of pastoral ministers who are good listeners, effective evangelists, dynamic preachers, informed educators, and models of integrity. Students devote him/her self in prayer as a spiritual discipline to understand God’s will. Students know the content of the Bible and different theologies, and have the ability/methodology enabling them to be effective preachers and educators. Students have found that faith and reason are compatible and complimentary. They integrate their faith and training in their everyday lives. 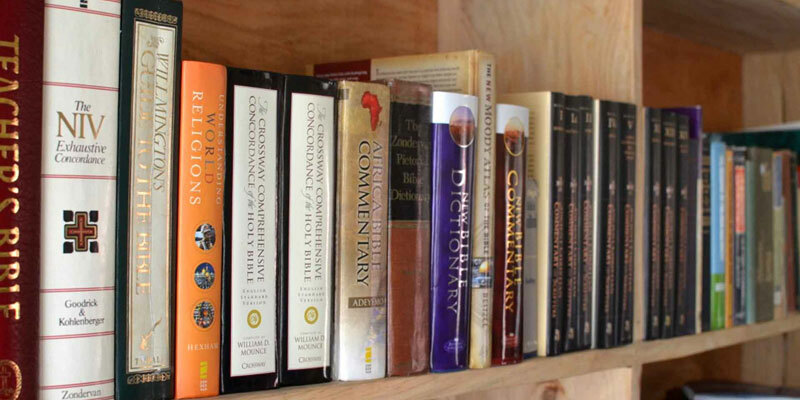 His or her worldview is based on Biblical truth and is complimented by what he or she has learned in courses at RFTC. Students have gained skills and insights that enable them to be relevant and able to give real answers to the real problems (moral decadence, underdevelopment, poverty, injustice, death from different diseases; and the quick development of technology) in the world around them. Students will have learned that God has given him/her the ability to make a positive difference in the world around him/her. Students are able to interpret the Bible in a positive and right way and apply it in their daily lives. Students are able to integrate theology and science with the intention of dealing with spiritual and socio-economic problems in the community. Through computer technology, students have communication and research skills. Students have good relationships with God, themselves, the community, and with the environment. Students are able to socialize to anyone, everywhere in every society. Preparing Students to make a positive contribution to the development of community leadership by applying the view of Christian world to their various academic programs. Providing and maintaining integrated curriculum in the way that all courses are seen to affirm faith as understood by Friends. Developing in students the ability and motivation for becoming responsible Christians and leaders who glorify God in serving Him and serving people through their careers and professions. Helping students to realize themselves and realize others physically, mentally, morally, emotionally, spiritually, and develop their potentials of influencing the world for what is good, pure and right. Motivating and equipping students so as to invest themselves in the Mission, evangelism, Leadership, Church planting, Interpretation of Bible teaching. Providing resources for Christian college education so as to establish a training center of thinking, research, consultation and teaching. Demonstrate theoretical and practical knowledge of their specific domains of studies. Preparing theologically gifted students for further study. Prove exemplary character before people and which is always in accordance with Christian values of the College. EEAR as a recognized Christian institution in Rwanda; officially started with the beginning of evangelism and church planting in 1987. Its Vision is to be a prayerful Church that shines Christ’s light and spreads the Gospel, and teaches people so that the church of Christ may grow in quality and quantity. EEAR has three Quarterly Meetings and eleven Monthly Meetings. It also has six Secondary Schools, five Primary Schools, and one Bible School which is Rwanda Friends Theological College (RFTC) which which began offering classes in 2014. The Governance of the college is under their National Committee of Education of the EEAR. This committee oversees the work of the leaders of RFTC and appoints such leaders as are needed, including the Principal, the Academic Dean, the Finance Officer, and the Dean of Students. The daily affairs of the College are under the supervision of thePrincipal, who is responsible for all matters of development, curriculum, management, discipline, and personnel. Those seeking admission to RFTC who are not members of the Friends Church are welcome to apply. The Friends Church is a Protestant denomination, tracing its origins to about 1655 in England. It is the result of a revival movement among those who were spiritually hungry and responded to the preaching of George Fox and others. Today there are Friends churches in many parts of the world and the number of Friends people in Africa is larger than on any other continent. Friends use the term “yearly meeting” for the association of Friends churches in a particular area. There are two Friends yearly meetings in Burundi, one in the Democratic Republic of Congo, and many others in Kenya, Uganda, and Tanzania. Friends in Africa would describe themselves as Christ-centered and evangelical and Rwandan Friends’ beliefs are expressed in the statement of faith that follows. There is only One Living God, Creator and preserver of all things. And in the unity of that divinity, there are three persons: the Father, the Son, and the Holy Spirit. These three are One in eternity, in divinity, and aim; eternal, endless in power, wisdom and goodness. Jesus Christ is the second person of the trinity. He gave Himself as sacrifice, and once for all, the perfect sacrifice for sins of the whole world. Those who received Him by faith; receive new life and good relationship with God, because of redemptive acts of God in Jesus Christ. The Holy Spirit is the third person of the Holy trinity. The Holy Spirit is the administrator of salvation planned by the Father and fulfilled by the death, resurrection and ascension of the Son. He dwells in a believer so as to assist him/her living a holy life, bearing witness and working for God. The Bible (Ancient & New Testaments) is the written word of God, exclusively inspired by the Holy Spirit. It teaches the truth concerning God, His creation, His people, His only unique Son, and the destiny of all human kind. It bears true witness on Jesus Christ, the Living Word. It also teaches the way of salvation and the life of faith. It is the supreme authority for our faith and conduct. God created man in His own image, innocent, morally free and responsible for choosing between good and evil, between justice and injustice. By the sin of Adam, man as progeny of Adam is even corrupt in his nature, in such a way that, as from his birth, he is driven towards sin. By his own efforts and deeds, the man is unable to restore good relationship with Good and to merit eternal salvation. The sanctification is the second step of salvation which starts with new life in Christ, by which the Holy Spirit renews believers according to the likeness of God by transforming them through culminating moments and process, from one level of glory to another, and by conforming them to the image of Christ. This sanctification is God’s grace that heals broken spirit, drives heart to God and enables believers to serve and please God in their daily lives. The expression of faith, Christian love, and our good deeds accomplished with reverence and humility are all acceptable and pleasant to God. However, our good deeds as good as they are, cannot save us from our sins and from judgment of God. The Church is the body of Christ and He is her Lord and Savior. The Holy Spirit is her life and power. She serves people in redemptive manner. The Church is brotherhood congregation of those who are redeemed. She exists to fulfill God’s Great Commission and Commandment. All who are united by faith in Christ are members of the same church, and it is their solemn duty to commune with one another in peace and to love with pure hearts and full of fervor. The second coming of Christ is certain and can happen at any moment. It has not been given to us to know neither the day nor the hour. At His second coming, He will accomplish all prophecies concerning His last triumph over evil. The attitude of the believer is waiting in joy, vigilance, attentiveness and diligence. In bodily resurrection of righteous and unrighteous, those who believe in Jesus Christ will get eternal life; and unbelievers will face condemnation. The eternal destiny of man is determined by the grace of God and man’s response, and not by arbitrary decrees of God. For those who trust in Him and accept Jesus as Savior and Lord, there is a heaven of eternal glory and blessing of Christ’s presence. But for those who rejected this saving God’s grace, there is a hell for eternal suffering. The library has room for the books and space for computers and e-readers. The computers are for the students’ use in learning computer skills, for writing their papers, and for accessing information on the internet. The e-readers are for studying the textbooks assigned for the classes. 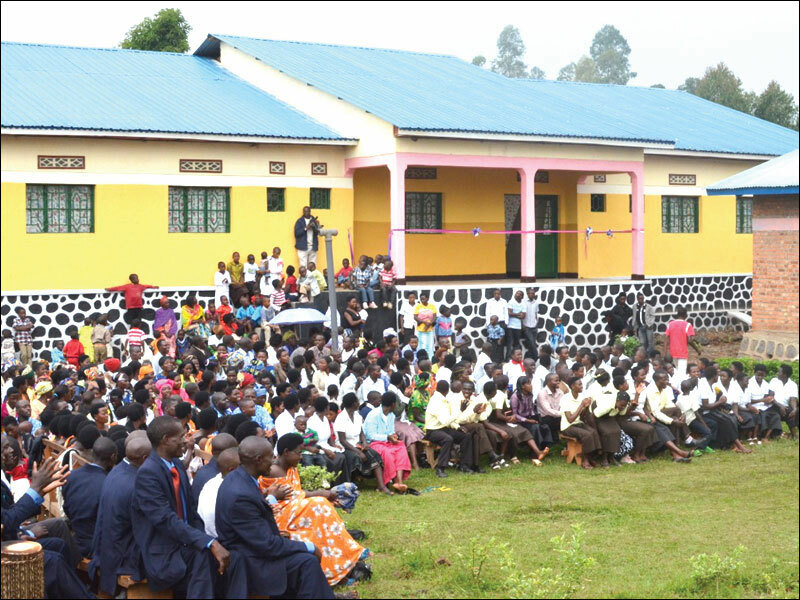 The Musanze Friends Church is used for college worship services, Sunday services, and special events like graduation.